Born in Arona, in the province of Novara, December 13, 1995. He attended the School of Art. He began drawing comics and characters from Walt Disney as a child, growing up with pencils began a far-off acquaintance with a well-known personalities in good portraits. 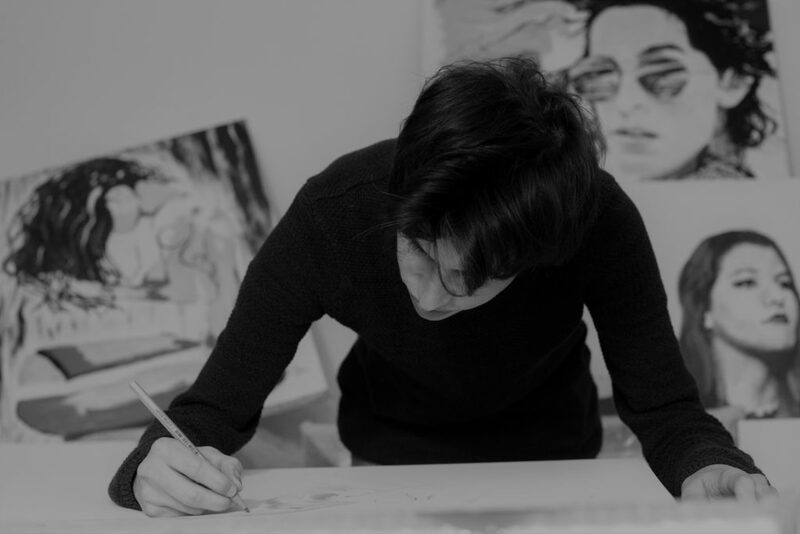 In 2015 he was named in Florence for his first collective exhibition of pencil drawings and began to receive invitations for various exhibitions in Italy and for his first international fair in Innsbruck where he brought his first canvas in which the artists that inspire him merge. linearity of Leonardo da Vinci and the creativity of Andy Warhol, getting a lot of consent from the public. Since 2016 he has also included Zen art in his portraits with bright colors. During the year he participates in Gala 'de l'open to twenty artists who pass a wide selection. In November he exhibited a Florence at the Fortezza del Basso with critics Daniele Randini Tedeschi and Vittorio Sgarbi and Vinci increasingly approved by critics. In 2017, with a continuous search for perfection, he participated in ArteGenova at the Palermo Biennial where he received the Critics Award from Paolo Levi from here onwards exhibited at Las Palmas Canary, in Dubai, at the Barcelona Biennale, the European Museum of modern art, art of Salerno always chaired by critics Daniele Randini Tedeschi and Vittorio Sgarbi. I am invited once again to the Gala 'de l'Arte vincente the prize to exhibit at the Italian Embassy in Monte-Carlo. Thanks to Stefania Pieralice and Gianni Dunil, I arrived art critic Daniele Randini Tedeschi, current curator of the Pavilion Guatemala at Palazzo Albrizzi Capello in conjunction with the Venice Biennale. In the autumn he exhibited at the Galleria C of Luciano Carlini. In 2018 he returned to Barcelona to exhibit in a Spanish gallery and filmed in March in New York with a Swiss gallery.